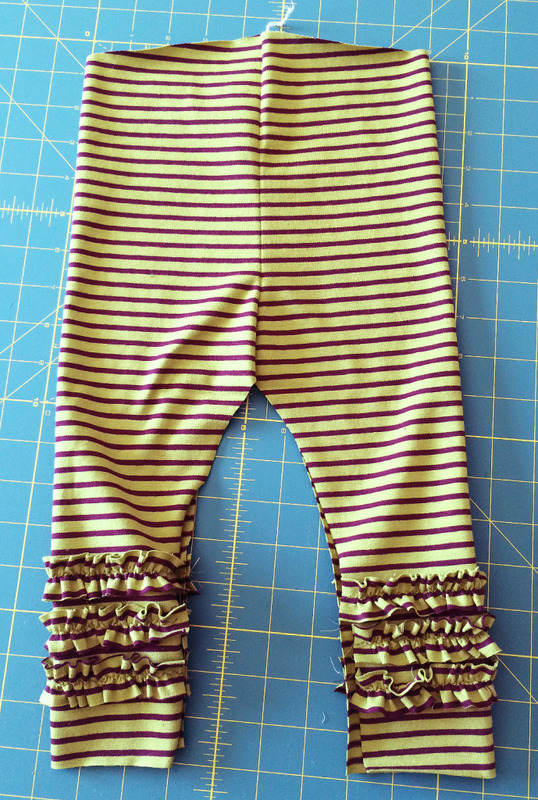 Whenever I see leggings with ruffles it looks SO adorable, I had to make a few pairs for Eleanor. 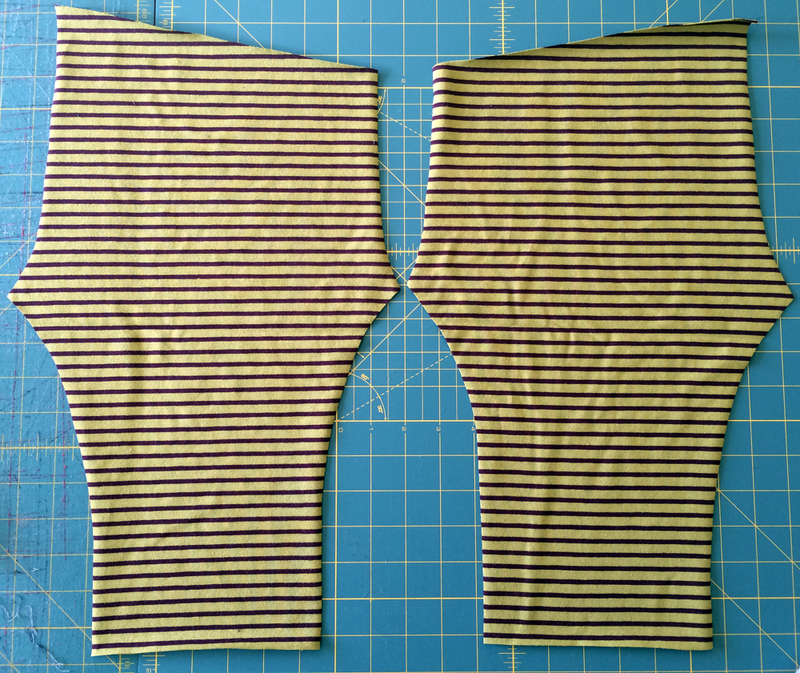 Turns out it is SUPER easy, so I took a few photos to show you how to do it. 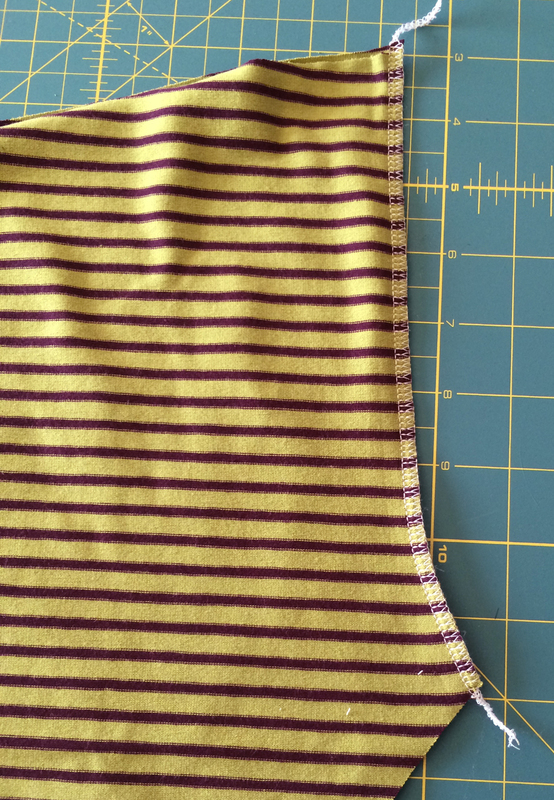 Then, measure the width of the ankle area (where the ruffles will go) and double that measurement. 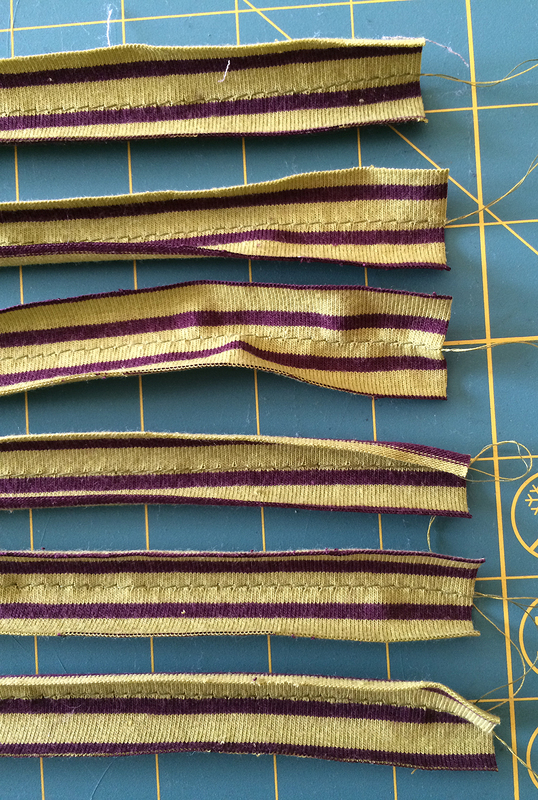 Cut out 6 strips of fabric 1″ wide and the length of the above measurement. 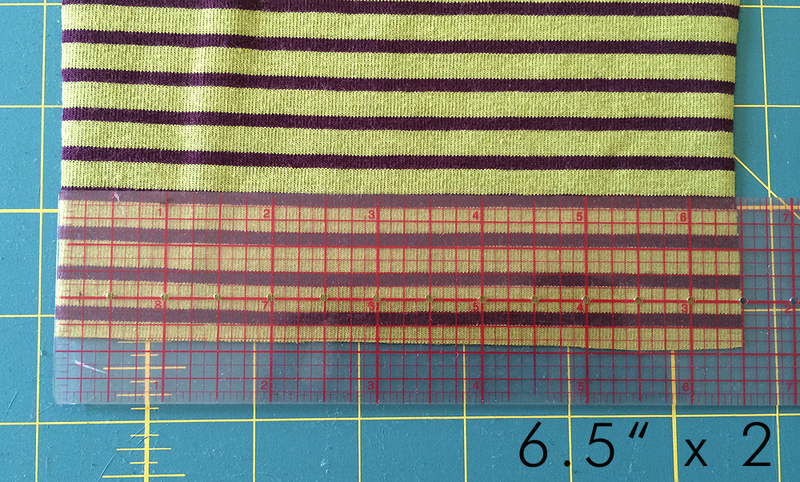 So for me it was 1″ x 13″. 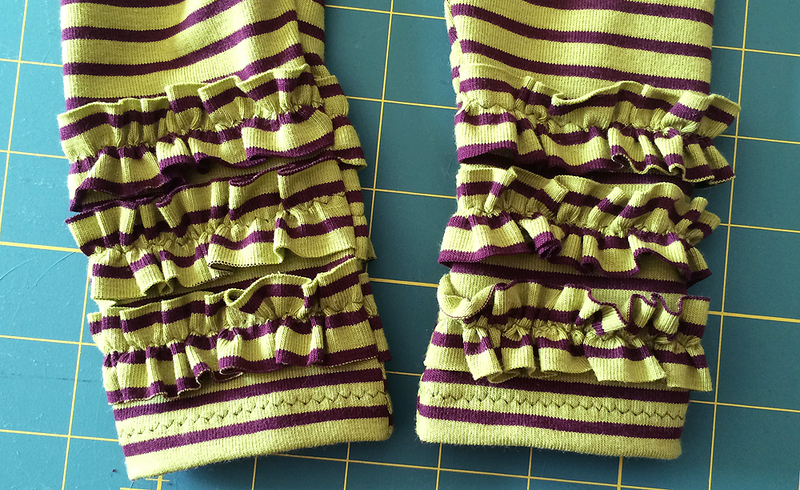 I wanted 3 ruffles on each ankle so I cut out 6. 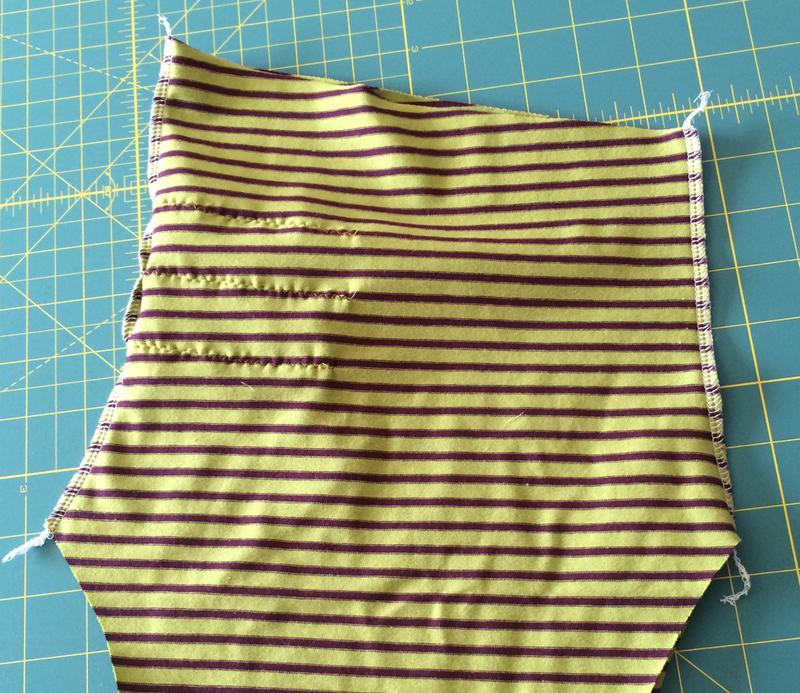 Sew a basting stitch (long stitches) down the middle of each strip of fabric for gathering. 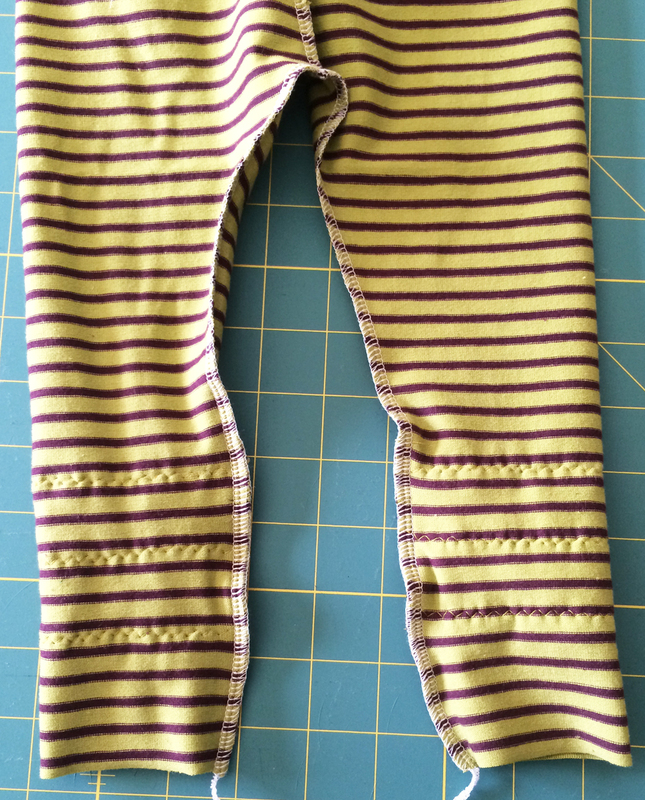 Gather them to match the width of the ankle. 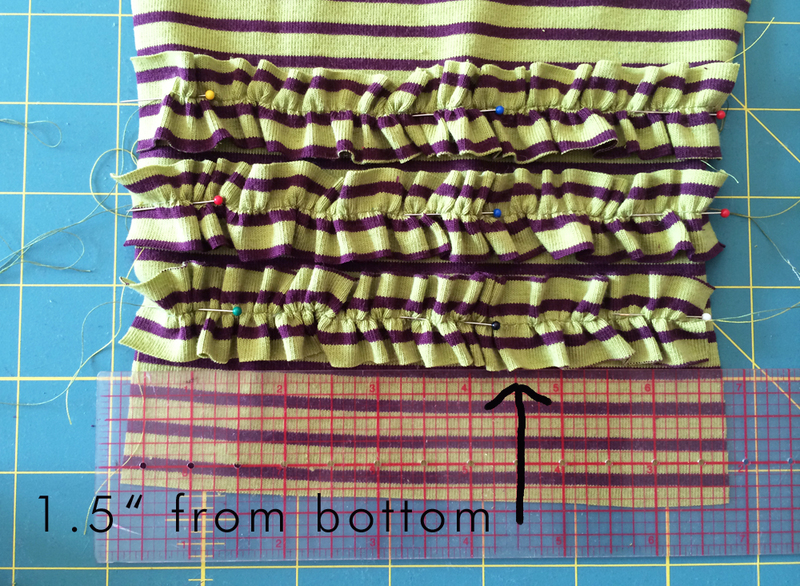 Place the first ruffle 1.5″ up from the hem and pin into place. Set the others just above that one and pin. 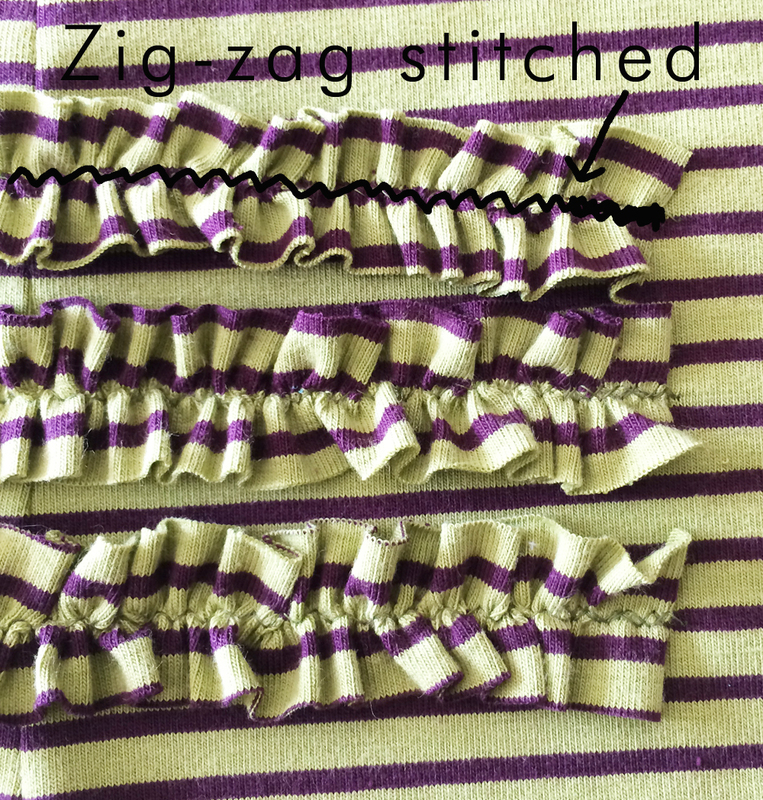 Zig-zag stitch across the top of each ruffle. 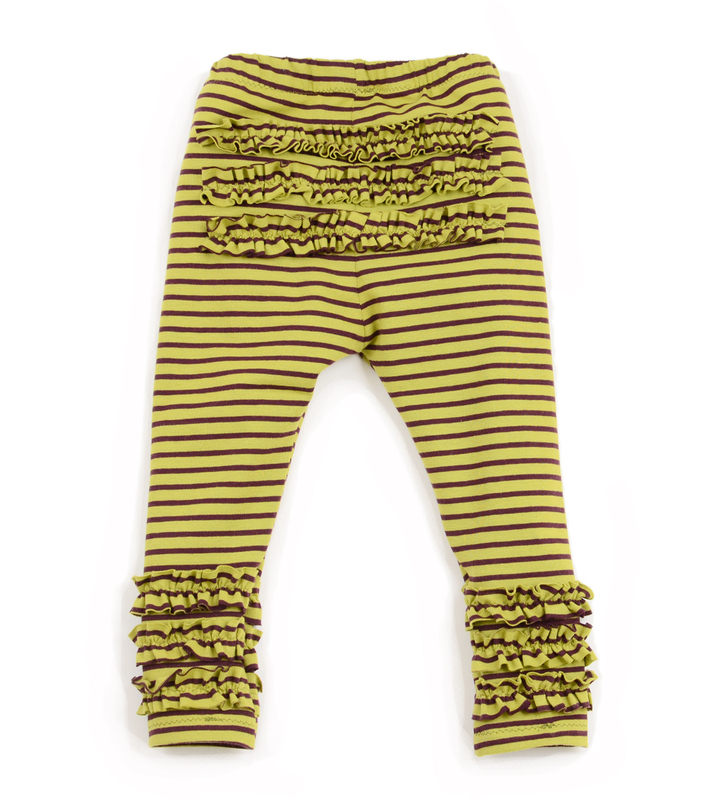 The zig-zag will allow it to stretch a little when getting the leggings on and off. 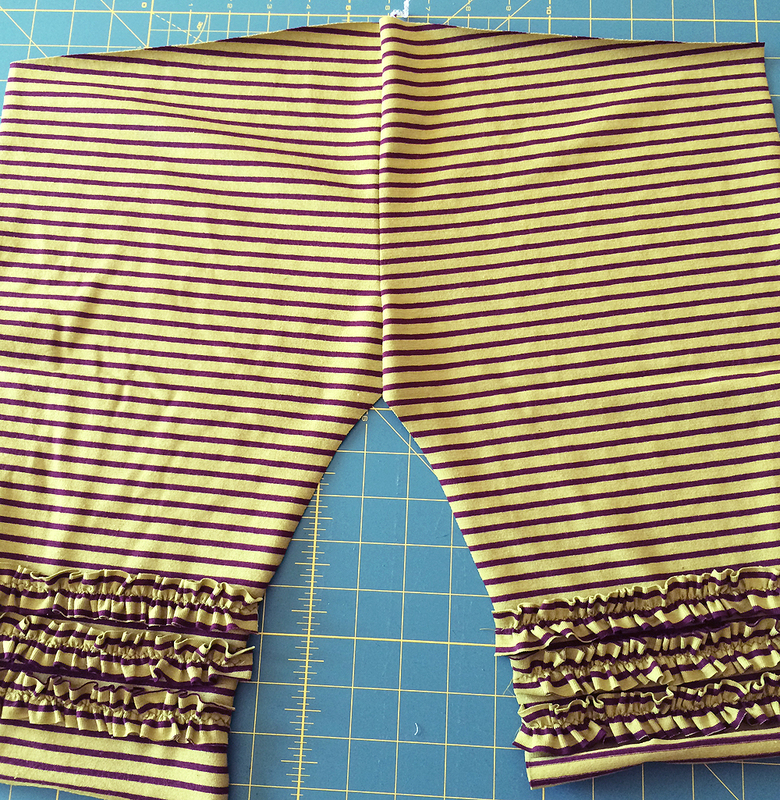 If you only want ankle ruffles then you’re done, just sew the leggings as you normally would now. 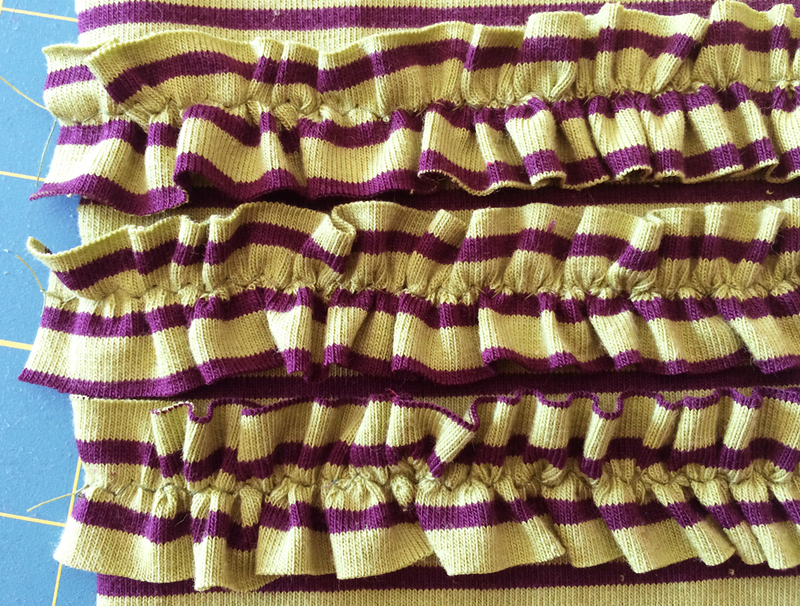 Fold the legs in to get an idea of where the sides are, it will help visualize how wide you want the ruffle to be. 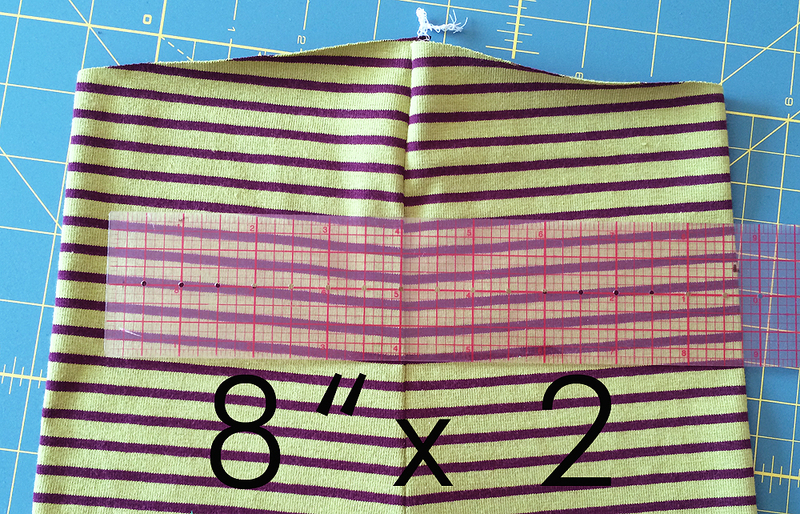 I measured 8″ for mine, it looked like the right width. 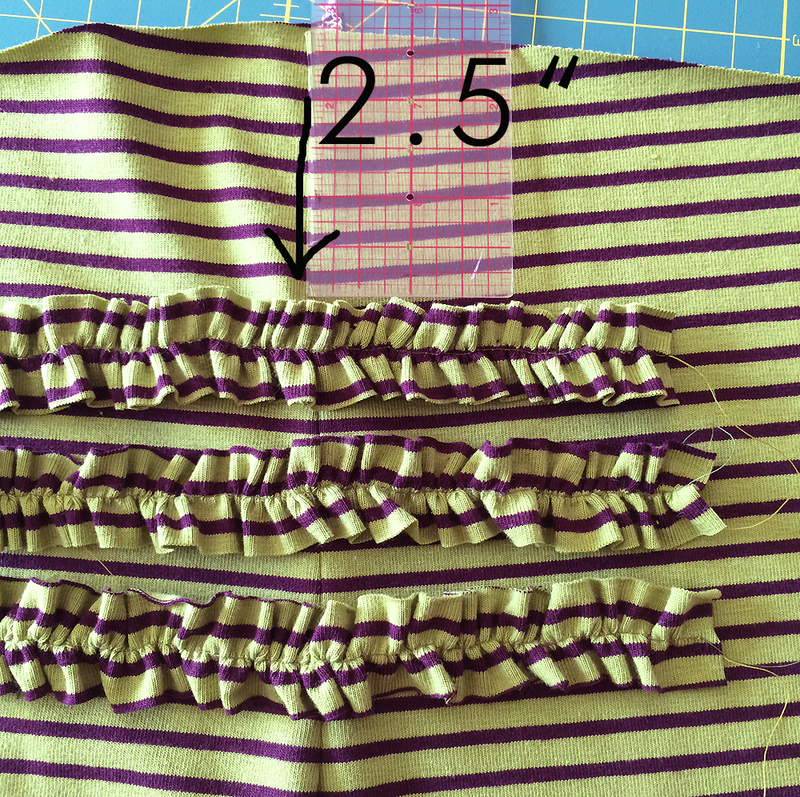 Double the measurement again to cut out your ruffles. 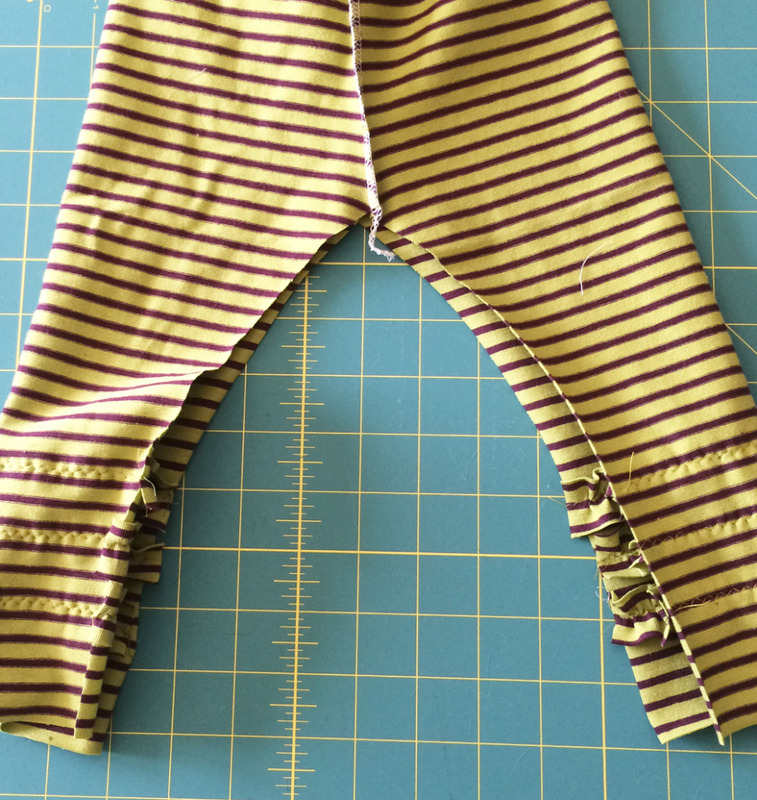 I cut 3 for the bottom as well. Mine were 1″ wide x 16″ long. 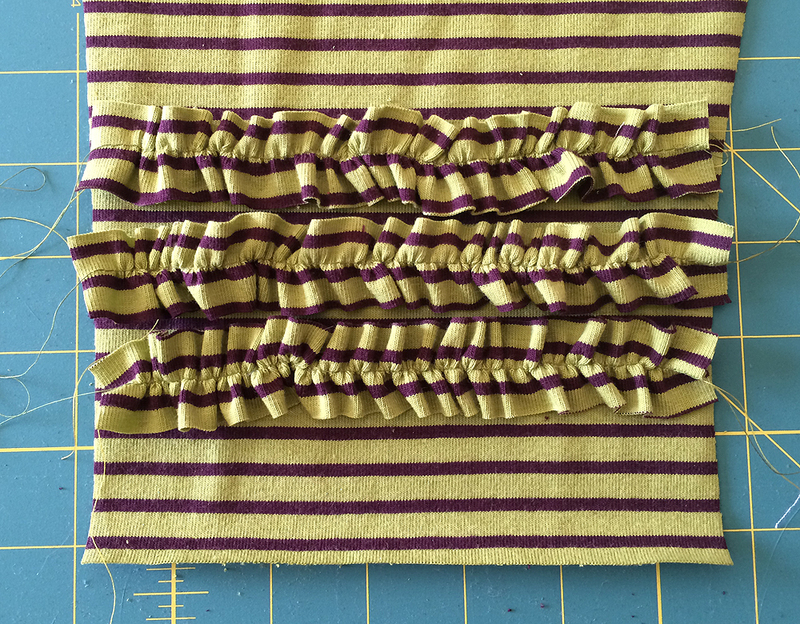 Gather the ruffles to the correct width, 8″ for me. 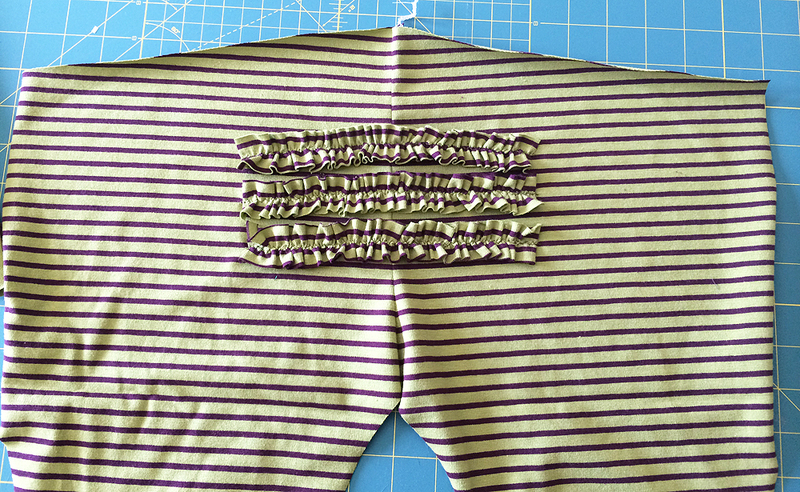 Pin the first one about 2.5″ down from the top to leave room for the elastic. Pin the others just below the first one. 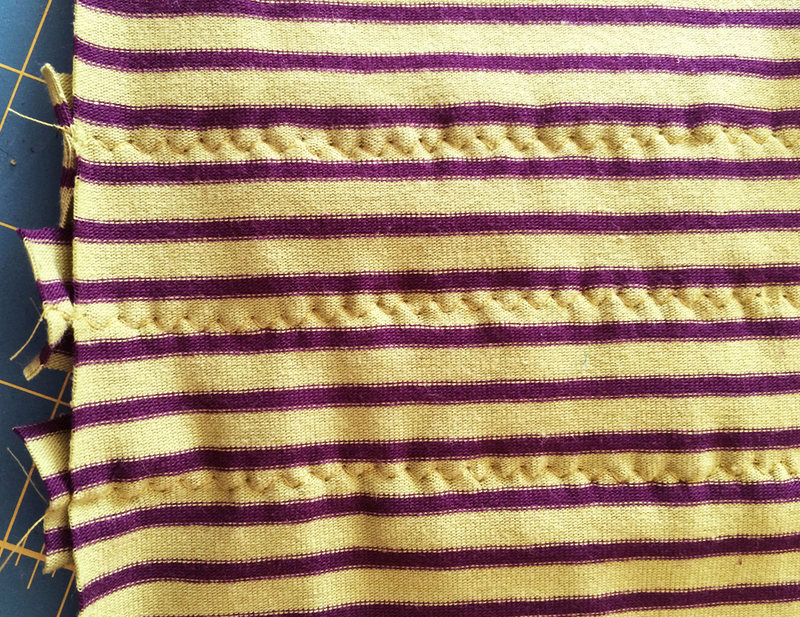 Zig-zag stitch down the middle again like the ankles. 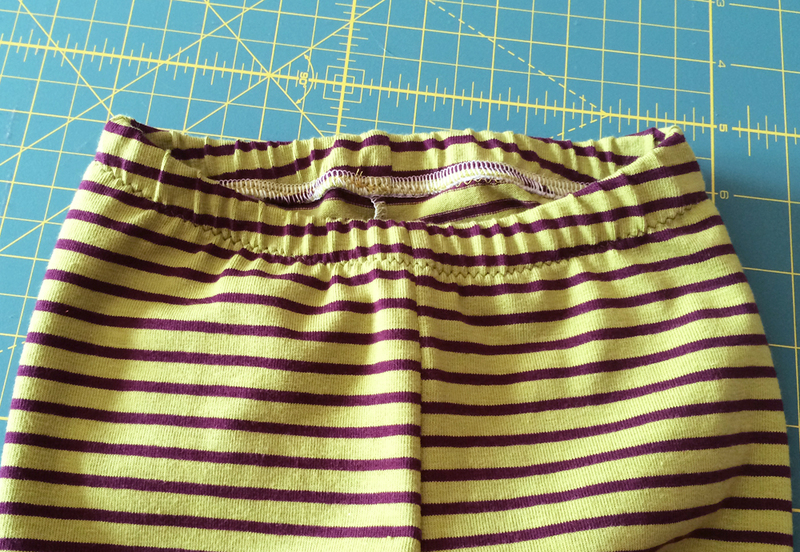 You will have to back tack the beginning and end of the seam on these ones.